Hard To Believe will have the Perth Premiere at City West Receptions, followed by a Q&A panel discussion, on August 22 (Monday), from 6:00 to 8:30 PM. 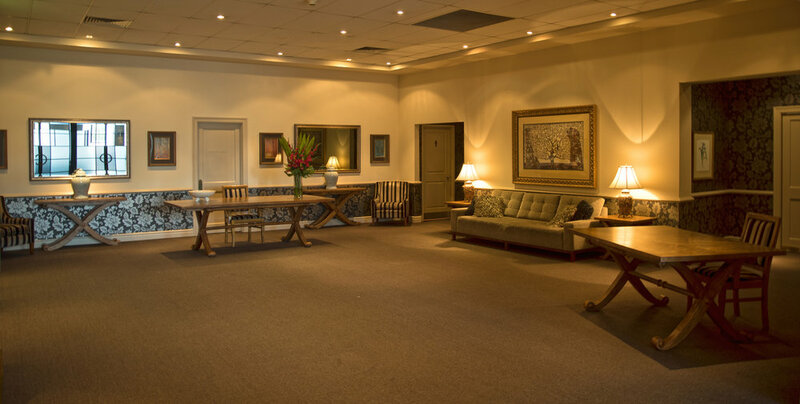 Complimentary parking is available for all delegates attending the function centre providing a VALID PARKING PERMIT is clearly displayed on your dashboard. Instructions and PARKING PERMIT will be emailed closer to the date. By train - Catch the train one stop to ‘City West’ from the Perth City train station on the Fremantle line. By bus - Catch the free green CAT bus service and get off at stops 10 or 12 (City West Station). Visit Transperth to check timetables and plan your journey. Prof Rogers is a Professor of Clinical Ethics and Deputy Director of the Macquarie University Research Centre for Agency, Values and Ethics. She has a long-standing interest in the ethics of organ donation and transplantation. While a member of the Australian Health Ethics Committee (2003-2006), she served as deputy chair of the working party responsible for developing the National Health and Medical Research Council’s guidelines for organ and tissue donation. She also served on working parties developing national guidance on donation after circulatory death. Her current research interests include organ donation, research ethics, ethics of surgical practice, and overdiagnosis. Professor Rogers’ work is widely published in international journals and she is the co-editor of a recent collection on Vulnerability (published by Oxford University Press). Professor Rogers recently spoke at the Scottish Parliament on a panel addressing the issue of forced organ harvesting in China. Prof Hodgson’s career as a legal educator/academic lawyer has spanned 33 years and four countries (Canada, England, Australia and New Zealand). His teaching and research interests include International Human Rights Law, International Refugee Law, International Criminal Law, and Public International Law. He has published three treatises, one edited book and 30 peer-reviewed law journal articles and received numerous teaching citations. Professor Hodgson serves as a Peer Reviewer and Grants Assessor for the Australian Research Council and serves as Chair of the Research Degrees and Scholarships Committee of The University of Notre Dame Australia. He is also an attender and alumnist of the Oxford Round Table and the Melbourne-based Cranlana Leadership Program. He has contributed to the German-based Max Planck Encyclopedia of Public International Law and is a member of the Council of Australian Law Deans and a Member and Fellow of the Australian Academy of Law. Prof Hodgson is currently Dean of The University of Notre Dame Australia School of Law, Fremantle Campus, and previously served as Associate Dean of Students at the Faculty of Law, The University of Western Australia. He is a graduate of Osgoode Hall Law School of York University and the University of London (London School of Economics and University College London). Mr Honeybul is a neurosurgeon with a subspecialty interest in neurovascular surgery and neurotrauma. He is currently a Consultant neurosurgeon at Sir Charles Gairdner Hospital and Head of Department of Neurosurgery at Royal Perth Hospital and at Fiona Stanley Hospital. He is a fellow of the Royal College of Surgeons of England, The Royal Australasian College of Surgeons a member of the Neurological Society of Australasia. He is a past member of the Neurosurgical Board of Australia and is currently an examiner for the neurosurgical fellowship of the Royal Australasian College of surgeons Current interests involve long term outcome following decompressive craniectomy and ethical issues regarding life saving but non restorative surgery. He is also involved in ongoing research investigating cranial reconstruction augmented with stem cell therapy.